Home / Special Sections / Will health system mergers cut costs? Will health system mergers cut costs? 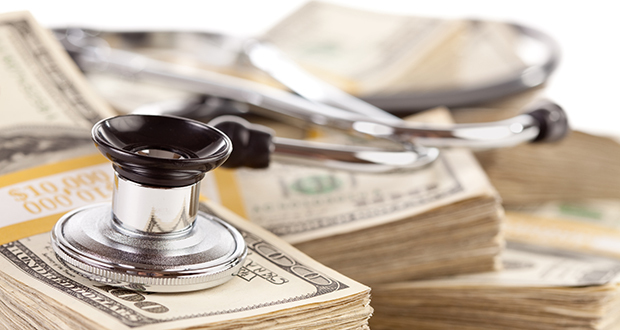 Barak Richman has examined hospital mergers for years and has arrived at several conclusions. One is that the trend hasn’t helped the bottom line for employers. Richman, who has specialized in health care costs and issues, is among the experts who don’t expect the merger trend to end. But, in his view, the centralization of health care around a hospital or health system is the opposite of what should be done. Such systems strive for efficiencies, yet the organizational layers make health care more complex and, therefore, more expensive for consumers, he said. “The people who should be the most outraged are business owners,” Richman said. “But it is hard to get employers to speak out. One overarching goal in health care is to direct patients to the best provider for a particular service. In centralized systems, that often means pressure on caregivers to send patients to hospitals, where services are most expensive. Instead, a decentralized system where patients have direct access to a doctor would be more efficient and cost effective, Richman said. Hospital executives argue their larger size will allow them to study trends in how people use health care and, over time, identify ways to intervene and lower overall costs. But the process will take time for recently merging systems. “I just personally don’t think that these are mature enough yet to gain what I am absolutely confident will be longer-term efficiencies in lowering the cost of care,” said Dr. Kevin Mosser, president and CEO of WellSpan Health, a multi-hospital health system based in York, Pennsylvania. There also are short-term savings involved in reducing administrative and other costs that come from economies of scale, Mosser and others have said. Whether those savings are passed onto consumers isn’t clear. Colin Milligan, senior associate director of media relations for the American Hospital Association, declined to comment on the merger trend, but he pointed to a blog post from Tom Nickels, AHA’s executive vice president, earlier this year. The post didn’t address whether employers benefit from the savings, and Nickels was not available for further comment, Milligan said. Until more businesses dig into the merger trend and assess how it is hurting their bottom line, Richman said, it will be difficult to see change. A centralized system is “the most expensive and least efficient payment and delivery system,” he said. Health systems often are the largest employers in a community and, after mergers, make plans to invest in new facilities. Such investments often lure other investments to a community, observers noted. As such, health systems and hospitals often command clout that makes criticism of other costs or problems difficult for some stakeholders, said William Kramer, executive director of national health policy at the Pacific Business Group on Health. Members of his organization are some of the largest employers nationwide, including Boeing, Intel and Walmart. He agreed mergers have frustrated cost-saving efforts because the larger systems may limit competition and often drive up prices. Kramer said there is a growing effort among employers to find solutions. Members of his San Francisco-based group have employed a number of ideas to curb health care costs, such as working directly with care providers rather than going through insurers, and working with providers to offer clinics at the job site. Some business-advocacy groups are in a tough spot, Kramer said, because they need to balance the needs of all members, which is why his group does not include companies that work in health care. Several business advocacy groups, including the U.S. Chamber of Commerce, either declined to comment or did not return messages. Diane Hess, executive director of The Central Penn Business Group on Health, said her organization has been trying to get a handle on how the merger trend has affected its members, which include many businesses. Based in Lancaster, Pennsylvania, the group has commissioned a study from Innovu, a data and analytics firm in Pittsburgh. Reports detailing numerous aspects of the costs of health care should be ready for review this summer by the group’s members, Hess said. Hess’ group traces its roots to the early 1980s, when its mission was to monitor what was a much more stable health care market. For example, in 1982 an employer’s “average spend” for health insurance per month per worker was $35. That figure now tops $500, she said. She also noted one manufacturer who complained that he is now paying more for health care than he is for his main raw material, steel. The group represents businesses as small as 10 workers and companies that create thousands of jobs – but also hospitals and health care service providers, Hess said. That representation is by design, because members want all stakeholders talking about health care costs. The conversations can be difficult but productive, she said. CPBJ Editor Joel Berg contributed to this report.